Here are a few pictures of volcanic activity on the Big Island. Lava entering the ocean on the South coast of the island of Hawaii. Photo: John Davies. Lava flowing over the surface on the South coast of the island of Hawaii. Photo: John Davies. A spectacular lava explosion at the point where the lava meets the sea on the South coast of the island of Hawaii. Photo: John Davies. 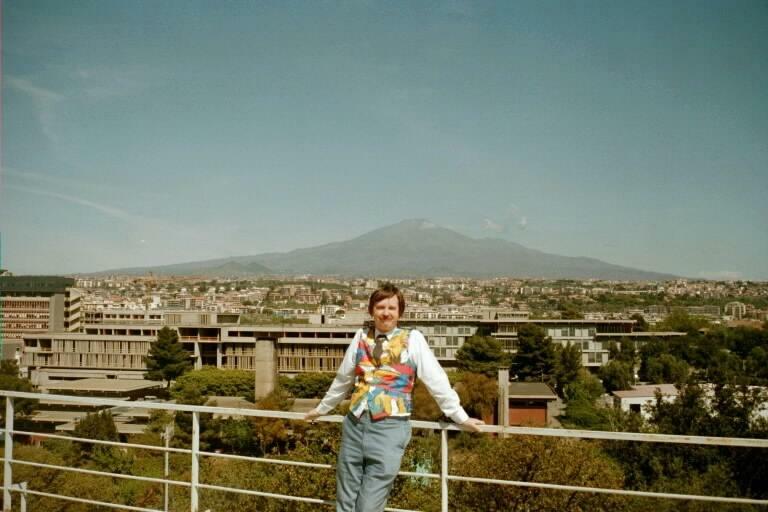 Just for a change, his is Mount Etna in Sicily, I was there for a meeting. Pictures of the flows in April 2001?